The judge said that there was no dispute over the fact that the 10-year-old's death was due to negligence or that the bullet was fired in violation of orders. "We are happy that justice has come to light and are still working to award the family compensation for all the suffering it has gone through," the family's attorney Lea Tsemel told ynet. According to Tsemel, "The father is a peace activist whose attitude has not changed since the incident. that is one positive aspect of this story. The whole thing brings color back into the cheeks of anyone who is trying to make the judicial mechanism establish justice for the victims of the police and military." In her ruling the judge said that the State must pay NIS 10,000 (about $2,700) for burial expenses and NIS 674,000 (about $182,000) for "lost years". The judge also ruled that the State would compensate the family to the tune of NIS 900,000 (about $243,000) for the way Aramin was killed, her young age, the circumstances surrounding the case and the customary sum of compensation awarded in similar cases. Police adamantly claimed that according to the autopsy, the child was killed from a stone – but a week after the incident, her family, with the help of the B'Tselem organization, published a pathologist's report stating she was hit by a rubber bullet. Yet at the same time the court also expressed harsh criticism against the police and the State Prosecutor's Office's handling of the case and called the investigation "negligent and lacking". The High court also ruled that the State and the officers must pay NIS 10,000 in costs. 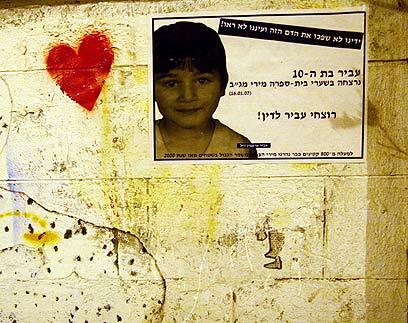 See all talkbacks "State to pay NIS 1.6 million over killing of Palestinian girl"